The 25th Anniversary of Jurassic Park; All the New and Cancelled Horror Shows of Fall 2018; and the Return of Fangoria! 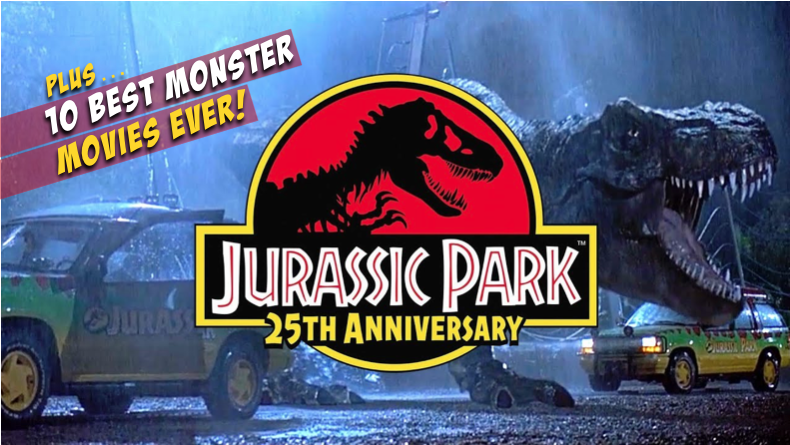 This week’s show is BIG, because it’s the 25th Anniversary of Jurassic Park, one of the best and most successful monster movies ever made. To celebrate, we count down our favorite monster movies of all time, and we visit the Universal Studios Hollywood 25th Anniversary Event. Plus, we break down the blood-bath that was the 2018 TV pilot season — which shows survived and which ones bit the dust? And, we talk about the return of FANGORIA, the magazine that defined horror for a generation! Watch, download, or save for later — either way, it’s gonna be a blast. May 27: Texas Chainsaw 1, 2, and 3 at the Egyptian in Hollywood.